Established in 1994 by Mike Rawlins, Rawlins EC Consulting delivers high quality, cost-effective electronic commerce consulting services. We are the premier EDI consulting firm in the Dallas/Fort Worth area. Rawlins EC Consulting makes achieving your e-business objectives a simpler, less intimidating task. Our focus is developing and maintaining e-business solutions. We primarily serve small to medium-sized companies, but our clients range from tiny start-ups to the Fortune 100. Do you need minor changes made to your existing system to satisfy new customer requirements? Do you need a completely new e-business solution to use as a competitive weapon? Rawlins EC Consulting works with you in both areas – and all points in between – to clearly identify your strategic e-objectives and deliver a timely, cost-efficient solution. XML-based solutions such as data synchronization using GS1 (UCCnet). 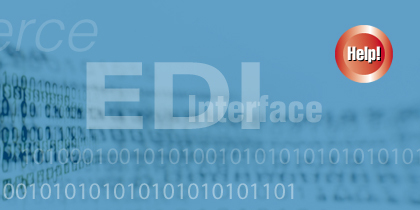 We turn EDI or XML into productivity solutions for your company.